With its wide array of flavors and spices, Indian food is nothing if not exciting. 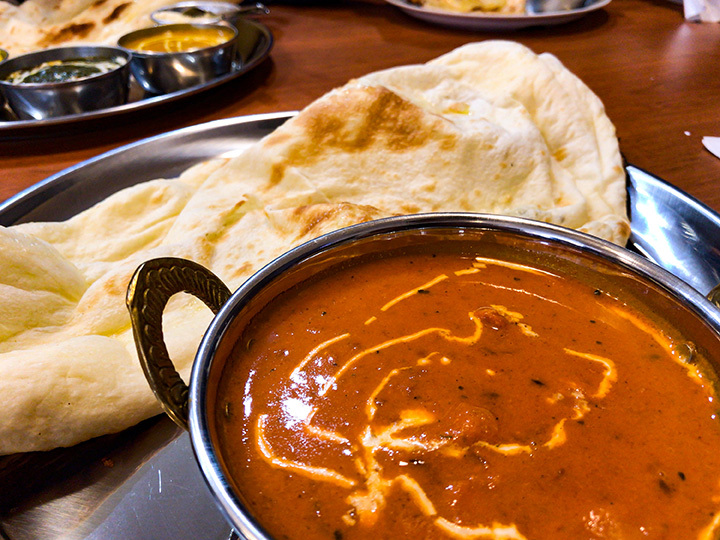 And from classics like chicken tikka masala to more modern takes on your favorite traditional dishes, Indian restaurants in Pennsylvania have it all. Find your new favorite dish at one of these, the best places for Indian food in the state. If you're looking to have an Indian experience alongside your meal, allow Cross Culture to provide it. The mood is set with enchanting Indian music, décor, and comfortable seating. Focusing on the Northern Indian style of cooking which uses a clay oven, you'll find a wide array of kormas and curries on the menu, each with a varying degree of spices. At Indian Restaurant 722, you'll find a fresh, healthy take on the Indian cuisine you know and love. From chicken tikka masala to papadam to samosas and more. There are plenty of veggie options as well, so you can satisfy your every Indian craving. Featuring an executive chef whose previous clients include three former U.S. presidents, Indian cuisine at Rasa is nothing short of luxury. There's an extensive menu of both vegetarian and non-vegetarian options, and each is made with fresh ingredients. Don't know what to try? Stop by all week for the lunch buffet and sample Indian dishes to your heart's content. Whether you're in the mood for a lamb, seafood, chicken, or vegetarian dish, Spice Affair in Pittsburgh can cure all of your cravings and more. Wash your appetizers and entrees down with a hot or cold Masala chai—and don't leave without having some homemade mango ice cream for dessert. Does award-winning North Indian Punjabi Cuisine sound like it's right up your alley? Whatever your answer, Aman's Bistro in Easton should be your next destination. With an extensive menu packed with Indian goodness, you're sure to find something your taste buds will savor. Oh, and it's BYOB. To say that the staff at Café Bombay knows their Indian food would be an understatement. Ask what curry is, and you'll get an answer that's both thoughtful and intelligent. This level of care is evident in their menu and each dish, too, whether you try the lamb with butternut squash, shrimp curry, or another one of the many dishes they offer. Per the restaurant's website, Masala Zone offers the best in authentic Indian cuisine to Horsham and its surrounding area. Come in before 3 p.m. and you can sample several different dishes at the restaurant's lunch buffet or lunch brunch. If you ask us, that's the way to go. But we're indecisive! If you're craving outstanding Indian cuisine, don't wait to check out Green Chili Indian Restaurant in Quakertown. It's well-known and loved by locals for its delicious food, top-notch service and friendly staff. So, what are you waiting for? Try it for yourself today. High-end dining is the rule, not the exception, at House of India. At this restaurant, you'll find dishes like rice biryani, curries for carnivores and vegetarians alike, truffle oil naan bread, and a whole lot more. And let's not forget the Indian-style bakery, offering mouthwatering pastries and cakes—so you can enjoy your favorite Indian delicacies at home or on the go, too! At the Palace of Indian, you can expect excellent food, a clean atmosphere, and hospitality that makes you want to come back again and again. Dishes are served home-style, so you'll feel comfortable and at ease as soon as you sit down. Come in for the lunch special or dinner, but whatever you do, don't miss out.